Vespers is one of the finest restaurants in Northern Ireland, run by top chef Paul McKnight. The décor is modern contemporary after an extensive renovation in 2019. The food is gourmet chic, while waiters ensure your glass never runs empty. Let us show you to your seat and we’ll show you how to dine in ultimate style. We had a lovely evening in the Mitre restaurant and were particularly pleased that our friends were impressed by the whole experience. The food was beautiful and the amuse-bouche were delightful. Niall and Samantha were extremely attentive throughout the evening and the other waiting staff were both pleasant and welcoming. Thank you all for a 5* evening. We had a first class champagne afternoon tea and all topped off with a lovely celebration slate from the venue to wish us a Happy 10th Wedding Anniversary! Beautiful setting with a delicious selection of sandwiches/ scones/ desserts. However, would like to mention that the tea got cold too fast, we had to ask for it to be reheated a few times and there was a lot of constant disruption from guests being brought past us as the afternoon tea set up is very close to the reception. Overall it was a very pleasant afternoon and the lady who took care of us was very friendly and helpful. I love the Culloden and have attended the Mitre Restaurant every Christmas for the last 10 years. On special occasions it's a no brainer to me where we should eat. It has ALWAYS been a special place for me and will continue to be so. Jennifer Dunbar served us last Christmas and last night, she's a great ambassador for the hotel. Had a really enjoyable 60th birthday celebration. 7 adults and 3 x 2yr olds. Great service and very helpful with children. Food excellent, though no beef or chicken on menu. As always everything was perfect, the food, the ambience and the staff. Jayde was lovely, very attentive and friendly. The only disappointment, on my husbands behalf was that the venison was out of season and wasn’t being served. It certainly didn’t stop us having a wonderful evening. Jayde was amazing!!! Her super friendly and bubbly personality made our visit a wonderfully pleasant experience!!! Everything was just pefect! The staff was friendly. Explained everything about the food and different teas. It tasted delicious! We recently enjoyed Afternoon Tea and a fantastic dinner, at The Mitre Restaurant. The food was delicious and the staff were fantastic, on both occasions. The restaurant is really very stylish and welcoming. The Somelier Zuzane was so professional, friendly and helpful. She was great, as were all the staff. 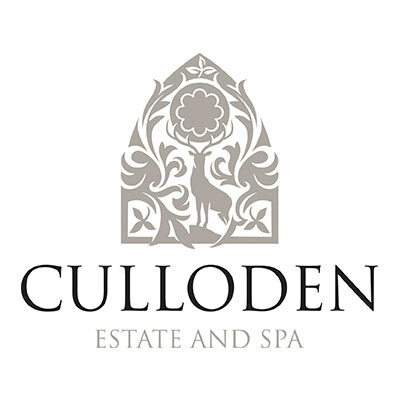 The Culloden is a great hotel and the Mitre Restaurant certainly deserves its place within this 5 star hotel. Excellent chef. The only downside was the atmosphere there was 8 people in a large dinning room. This was not the fault of the hotel I will certainly return. Booking Service OnLine excellent allowing my wife and I to get a Dinner Time suitable to compliment our stay at the Hotel. Reception on arrival, Menu and quality of Food OUTSTANDING. Our server Norbert was outstanding providing 5 * service, interaction and delivery only worthy of the VERY BEST LOCATION. Food choice, Wine choice and additional dishes were simply superb rounded off by a high quality and beautifully presented Cheese Board. This location is superb and Management and excellent Staff have made this a MUST VISIT LOCATION. My wife and I were HIGHLY IMPRESSED with this FAULTLESS experience. It might only be one night on one date but it will live long in our memory as a truly WONDERFUL EATING EXPERIENCE. Many Congratulations to all . Absolutely loved our meal and the service, pampered!! ....it's been a while since we've been and we will be back soon. The harpist was also brilliant! The food was superb. Staff were very attentive. Slow service and not five star quality. We all had a very enjoyable evening and we were looked after extremely well in lovely, comfortable surroundings. My wife and I had our wedding reception at the Culloden 7 years ago so it made sense to book our Anniversary Dinner here. Although I mentioned this when booking,  we were shown to a table in the middle of the room, just inches away from the next diners. Oddly enough,  the restaurant wasn't full and there were several more private  tables in the corners that were empty. We felt extremely uncomfortable so we asked to sit at the bar whilst deciding what to eat. The menu is thankfully small so we were all the more surprised that the waiter didn't know what the vegetarian dish entailed and it took him 15 minutes to find out. We did ask for another table and we were given a more private table in the corner. The service was friendly but rushed and the restaurant was so cold that the waitress offered my wife hot tea to warm her up. The food,  however,  was excellent and somewhat saved the  Anniversary Dinner. My wife's stone bass with market vegetables was excellent as was my beef. The chocolate dessert was outstanding and the white chocolate sorbet was a perfect finishing touch. Regrettably the poor and unwelcoming service left a dark shadow over our special evening and we won't be back in a hurry. We were greeted promptly and shown to a lovely table with views over the water. The food was absolutely delicious and presentation excellent. The waiters were extremely attentative and helpful. Dining in the Mitre restaurant was a wonderful experience and would thoroughly recommend this. As it was our wedding anniversary the meal finished with a very special surprise courtesy of the hotel. A very special touch to make our evening more special. Thank you. My wife & I received a warm welcome from friendly, courteous staff the restaurant is amazing with some of the best views I have every experienced in a fine dine restaurant overlooking Belfast Lough. The food is a true dining experience offer the very best of Northern Ireland  the highlight of my dining experience of desert a true taste sensation.